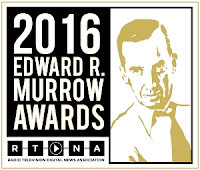 Rio Salado congratulates KJZZ 91.5 FM reporters for winning three, 2016 Edward R. Murrow Region 3 Awards, as announced by the Radio Television Digital News Association (RTDNA) on Tuesday, April 26. The public radio station, which is a community service of Rio Salado College, is proud to have received high honors in three separate categories. 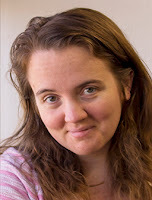 KJZZ Senior Field Correspondent Stina Sieg won the Feature Reporting category for Navigating Social Media Complicated When Your Child Has Cancer. Sieg highlighted the difficult choices parents of children with cancer must make when keeping friends and family updated. Some choose to share news of their child’s illness with a small, closed group of acquaintances on Facebook, while others create pages that attract tens of thousands of followers. Former KJZZ Senior Field Correspondent Alexandra Olgin won the Hard News Reporting category for Valley Man Leads Underground Operation To Save Opiate Addicts. In her story, Olgin described how naloxone has been used by opiate addicts to reverse overdoses, even though distributing or using the medicine without a prescription is illegal in Arizona. Using naloxone obtained legally outside the state, an anonymous Phoenician runs a harm-reduction campaign in the Valley. 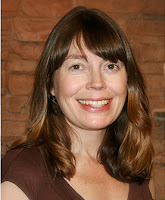 From KJZZ’s Fronteras: The Changing America Desk, Senior Field Correspondent Laurel Morales won the Sports Reporting category for Run To Pray, Run To Win: Hopi High Cross Country Team Has Longest Winning Streak In US. Drawing a connection between the Hopi High boys cross country team’s winning meets for 26 consecutive years and the Hopi tribe’s heritage of long-distance running, Morales reported on the positive impact the sport has had on students. 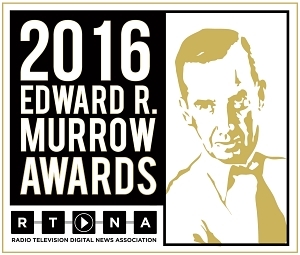 Region 3 for the Edward R. Murrow Awards includes all radio and television stations in Arizona, Colorado, New Mexico, Utah, and Wyoming. KJZZ’s Fronteras Desk partner station Marfa Public Radio took home eight awards in Region 6 (Oklahoma & Texas), the largest number of any small-market radio station in the country. Three of those awards were given to reporter Lorne Matalon, whose stories were also broadcast on KJZZ: US Citizens Skirting Border Laws To Survive On Rio Grande, Borderland Exodus: Towns Near Path Of Proposed Mexican Pipelines Suffer Rash Of Violence, and Central American Migration: New Concerns As Numbers Rise One Year After Unprecedented Influx. 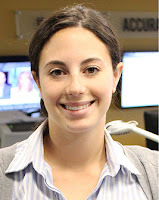 Winners from the 14 regions automatically advance to the national Edward R. Murrow Awards competition in May, with national winners to be announced in June. RTDNA said it received a record-high 4,300 entries for the 2016 awards season. News courtesy of KJZZ contributing writer Trevor Huxham. Labels: LifeAtRio, LiveAtRio, Local Radio, MCCCD, RioCommunity, RioEmployee, RioLearn, RioLocal, RioLounge, RioNews, RioStudents.